EMAIL ME MY PRICE close Email Price Just enter your email below and we will send you the price instantly. If you would rather chat with us online or call us at 800-541-8683 Monday - Friday, from 8 a.m. to 8 p.m. we will be happy to help you with any questions you have regarding this or any of our products. Login or enter your email to be sent the price. 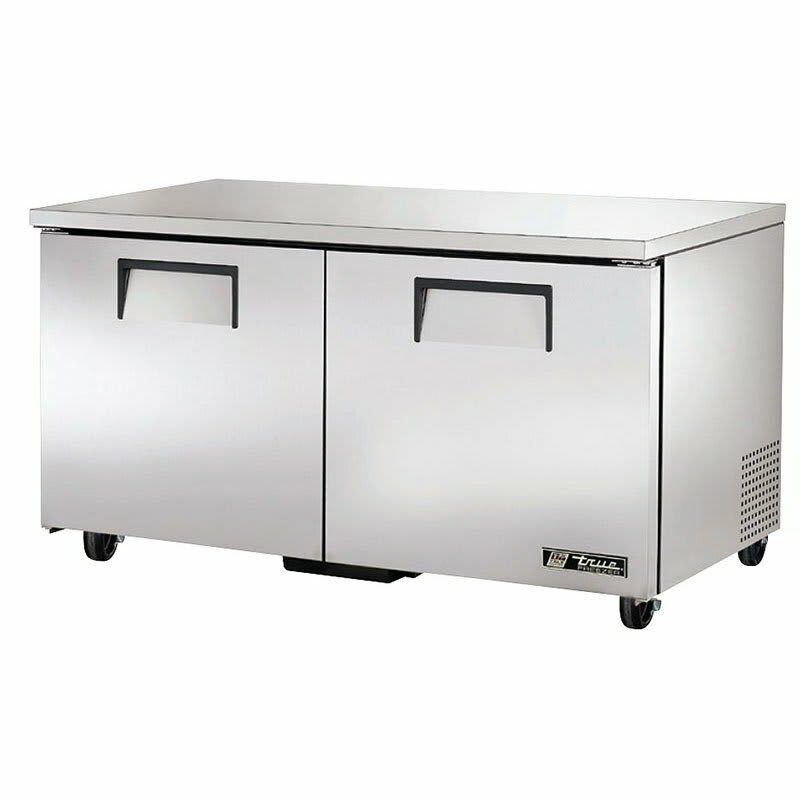 The True TUC-60F-HC undercounter freezer easily fits under counters with its compact size. The stainless steel construction is durable for commercial use and corrosion resistant. The interior of the cabinet is constructed from aluminum and a stainless steel floor with coved corners that are easy to clean. Structure is provided by the foamed-in-place polyurethane insulation that also keeps cold air in the cabinet. 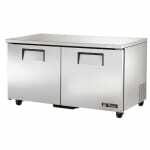 The stainless steel doors are easy to open with the 12-inch recessed handles. Magnetic gaskets on the doors prevent cold air from leaking out. A constant temperature of -10 degrees Fahrenheit is maintained by R290 hydrocarbon refrigerant. Guided airflow is created by the refrigeration system so all products are cooled evenly. Quick temperature recovery is achieved by the heavy duty evaporator fan motor and large blades create high-volume airflow. 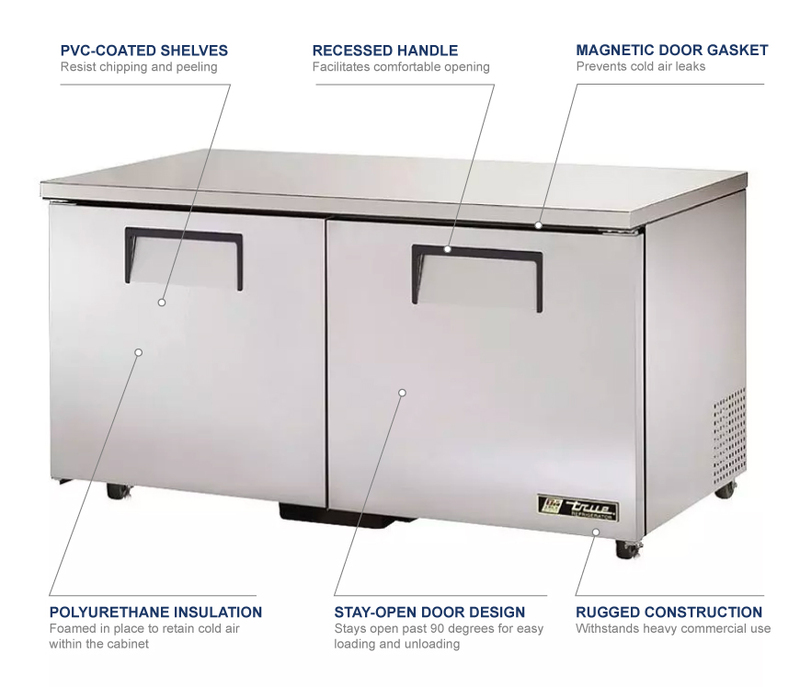 Servicing the True TUC-60F-HC undercounter freezer is easy with the slide-out condensing unit. The automatic defrost system ensures the equipment runs properly and does not require excess maintenance. In January 2015, True began shipping this product with a clear-coated aluminum interior and gray, PVC-coated shelves. The company will continue to offer white PVC-coated shelves to customers who need replacements for several years. For more information, call KaTom at 1-800-541-8683.